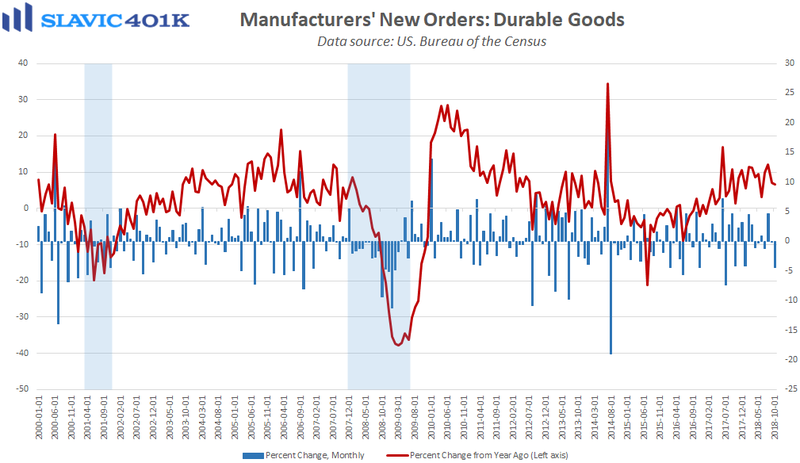 Elsewhere, orders for U.S.-manufactured durable goods (items meant to last at least three years) fell in October by $11.5 billion (4.4 percent) to $248.5 billion, according to a new report from the Census Bureau. That was a larger decline than anticipated and the prior month’s figure was revised sharply lower. 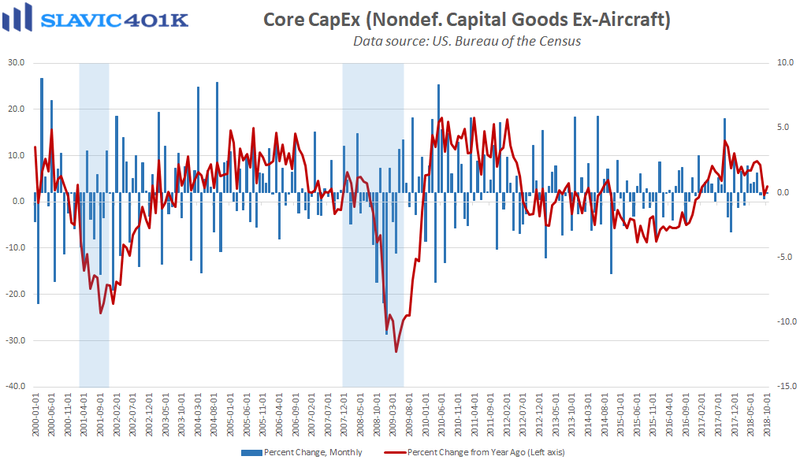 Most of the headline weakness was due to big drops in orders for civilian aircraft (-21.4 percent) and military aircraft (-59.3 percent), but even “core” durable goods orders, which exclude the volatile transportation component, lifted by just 0.1 percent in October. That was well below the 0.4 percent forecast, and the prior month’s gain was revised from a 0.1 percent increase to a 0.6 percent loss. Further, orders for nondefense capital goods excluding aircraft, i.e. core capital expenditures, an important proxy for U.S. business investment, were fractionally lower in October (-0.04 percent). 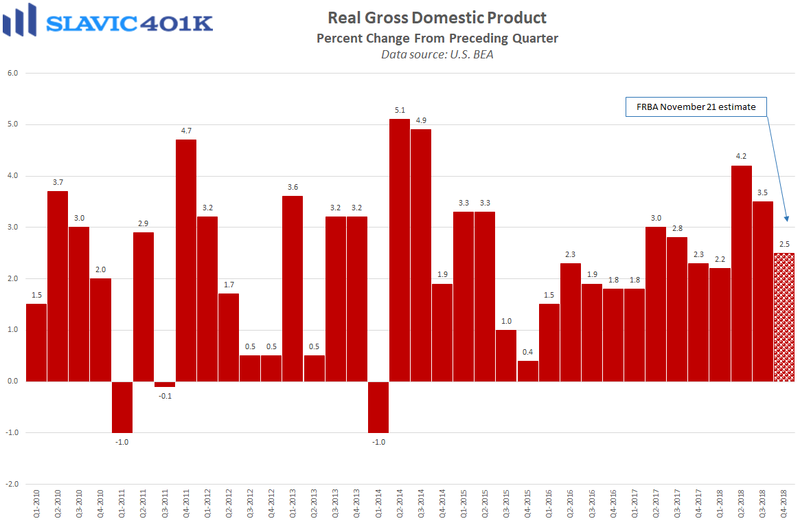 That was again worse than expected and the September figure was revised downward. 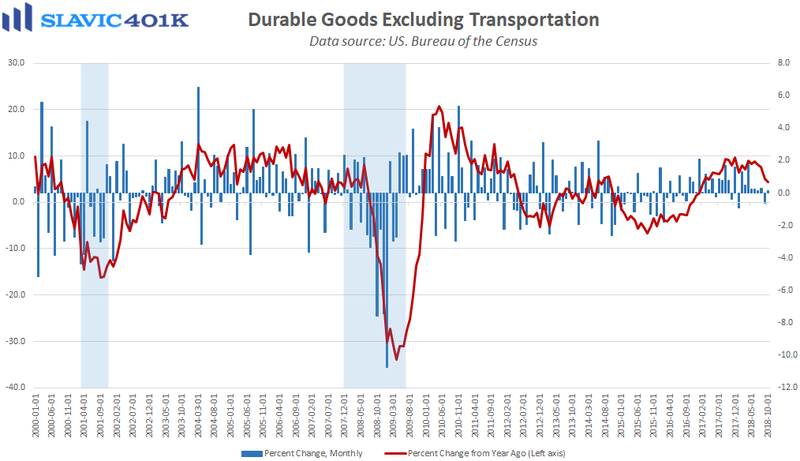 Although far from terrible, the latest durable goods report confirms that this component of the economy has cooled recently, likely in part due to the avoidable trade war. 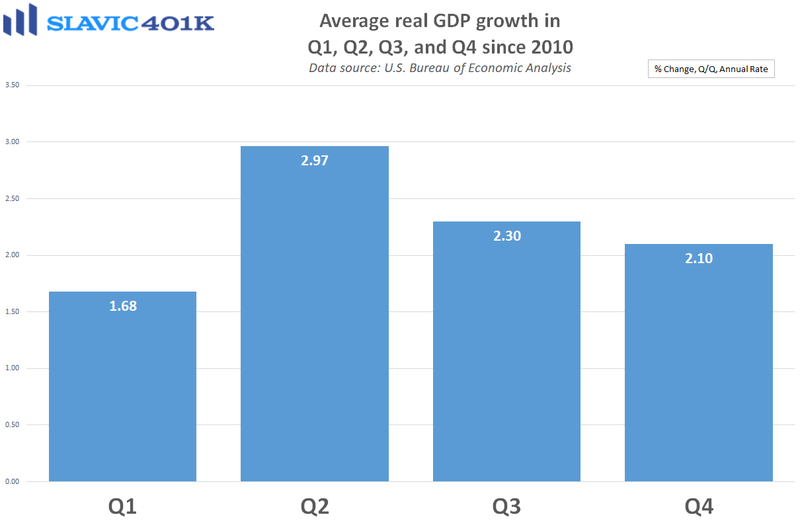 The Federal Reserve Bank of Atlanta even lowered its fourth quarter U.S. gross domestic product (GDP) growth forecast to 2.5 percent this morning. 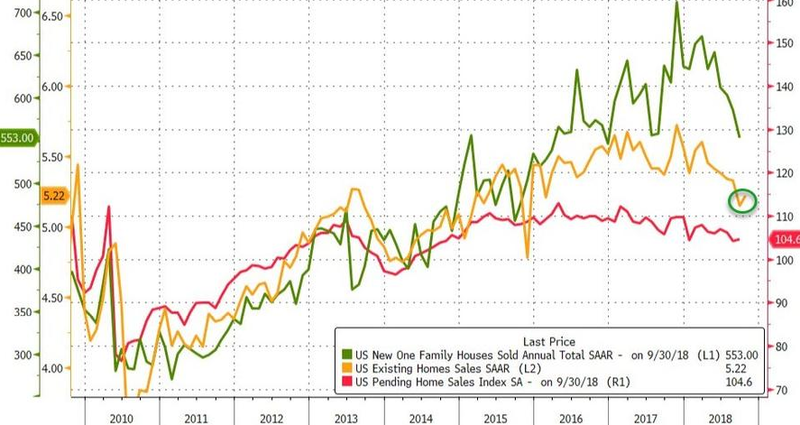 That would be a marked slowdown from Q3’s 3.5 percent increase, albeit somewhat consistent with the recent seasonal pattern.